Image by Shawn Some Rights Reserved. In Japan, people can drink a cup of water without any concern. People can also make a donation to provide a cup of water for children who otherwise cannot drink even a drop of safe water. Here is how such a project works. The Japan Committee for UNICEF and voluntary members from Hakuhodo, Inc., a major Japanese advertising agency, held a project called "Clean Water for All the World's Children - TAP PROJECT JAPAN 2014" for a month starting on August 1, 2014. 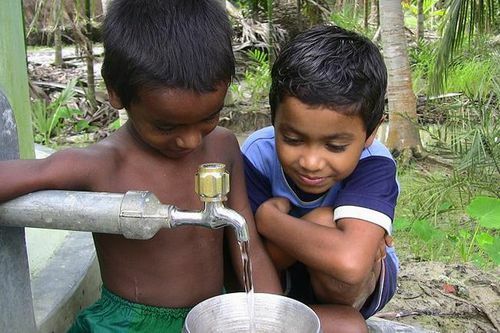 This project supports UNICEF activities to provide access to clean and safe water to children all over the world. At restaurants participating in this project, customers were asked to make a donation in return for the water they were served. All donations received will be used for UNICEF's Water, Sanitation and Hygiene (WASH) programs in Madagascar. These programs aim at protecting children from contaminated water and an unsanitary environment by building water supplies, toilets and other facilities in communities and elementary schools in rural areas. In Japan, this project has been carried out every year since 2009. The Japan Committee for UNICEF publishes past donation results on its website and informs readers how local children have gained better access to safe water. JFS staff writer Yuta Hashimoto interviewed Yuya Tashiro, the store manager of a soup curry restaurant in Hachioji City, Tokyo, named Okushiba Shoten Hashioji Tashirojo. 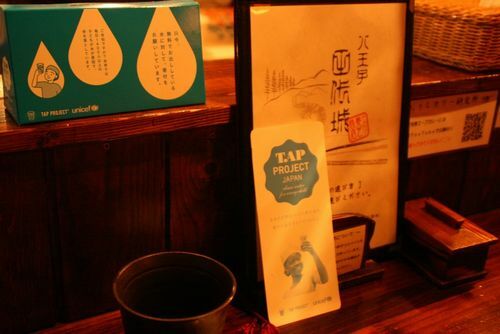 It was one of the participating restaurants of the TAP PROJECT JAPAN in 2014. Hashimoto: Tell me what you think about participating in the Tap Project. Tashiro: I had not really looked closely at social action programs and donation campaigns even when I had chances to join in them. But participating in the Tap Project made me reflect about my view of things and think about what I can do for society. Hashimoto: Can you be more specific? Tashiro: Maybe it's best if you can to visit a place and give support directly, but it is difficult to do so. With this project I could cooperate with UNICEF, an organization I trust. My staff and I could deepen our understanding of the purpose of the project and learn more about it. I think it important for us to pass on the information we have gained to our customers and people in the same business. Hashimoto: What approaches did you use for the project? 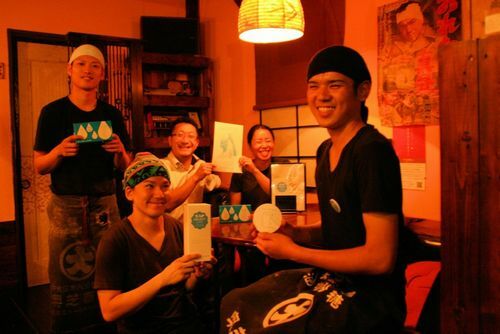 Tashiro: One of our ideas was to place UNICEF table cards and collection boxes discretely in our restaurant. We would ask for donations only from people who show an interest in the project, without negatively affecting the restaurant atmosphere. Hashimoto: Will you continue supporting the project? Tashiro: Yes, I would like to, with assistance from my staff. Hashimoto also interviewed the restaurant staff. Hashimoto: Did your work load become heavier with the TAP PROJECT JAPAN 2014 in the restaurant? Staff: No, it didn't. It was no problem at all. Hashimoto: How did you feel when you saw a customer put money in the donation box? Staff: I felt delighted and a sense of gratitude, and said "thank you very much." I felt the customers understood the meaning of the project even though they knew it would not directly change their daily lives. Hashimoto: Did your perspective change after being involved in the project? Staff: Through TV or other media, I was aware of the serious situations of children in the world, but I didn't do anything about it. As a first step, it is important be more aware of things in daily life. It might seem obvious to say so, but I want to keep in mind in my daily life that I should handle things with care and use them as long as possible. It is easy to take for granted that in Japan we can access safe drinking water. But looking around the world, we find that this is not the norm. I believe this is why Japanese people should be grateful for their fortunate circumstances and do whatever they can to help others.